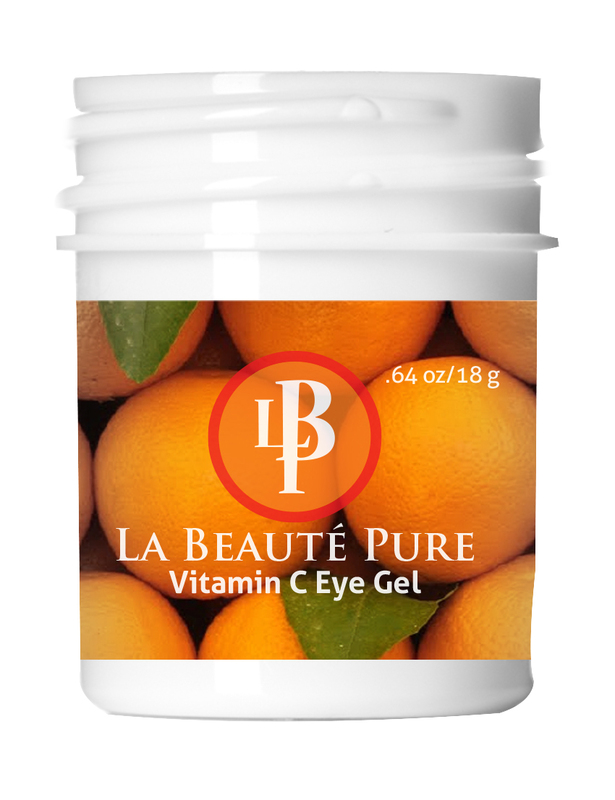 MY REVIEW: La Beaute` Pure Vitamin C Eye Gel + Discount Code!! This is our brand new product, Vitamin C Eye Gel. We are very proud of this product. Vitamin C Eye Wrinkle Gel w/ Peptides * Under Eye Firming Treatment for Dark Circles, Puffiness, & Bags *Anti Aging Eye Cream reduces dark circles, firms skin, eliminates puffiness, and bags under eyes* Hyaluronic Acid, Silk proteins, Cucumber Extract, Aloe, Jojoba Oil and MSM *La Beauté Pure: Simply The Best! I love eye gels. Not all of them are the same. Some have better ingredients than others. And some give a sticky feeling that I am not too fond of. Overall this is a great product. I have friends that have bought this product and are in love. Me well I like it. It smells like cucumbers. But at times I get a sensitivity on my skin. Not sure but it happens and I know it is a allergy. But it tingled more than I wanted to. But I did decide to use this on my chest and neck. Which I love it for. Vitamin C is a must for my skincare. I am giving a code today to apply at check out for $10 dollars off. This is good till May 31st! And if you have Prime Amazon that is $4.99 and if you don't it is about $9.99 give or take. Here is the code: 10eyes15.